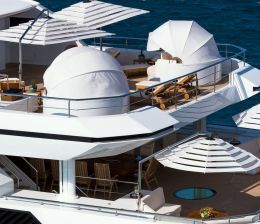 In this website, you can have a profound look at our portfolio in which you will encounter hundreds of yachts. You can look at the information in details about each and every yacht. Our mega yacht charter Turkey portfolio has links which will take you to an independent page which is full of information about that mega yacht that you like or admire. The prices are mentioned in weekly periods for mega yacht charter in Turkey. we would like to tell you a little bit about yachts’ seasonal pricing in general August and July are the high season in Turkey. Prices are higher and all yachts are booked five months prior to these two months, June and September are said to be mid season. Remaining months are of course the low season in which you can charter with the least pricing. Some people prefer to charter at this time of the year i.e. in the low season not only because of the cost of charter but These are good reasons which make some people decide to come at this time of the year to spend their holidays and enjoy the natural beauty with mega yacht charter in Turkey, The chrystal clear water along with the soft breeze of the Aegean and Mediterranean fill your soul with fresh air and optimism. chartering and cruising in southwestern Turkish riviera is almost the best amongst popular yacht charter locations. Standing at the bow of the yacht with your loved one on board of your megayacht charter in Turkey is a real fascination for blue water lovers from all over the world . Turkish Riviera has been an attraction for millions of holiday makers who are coming from Europe, the Americas, Australia and Middle east. 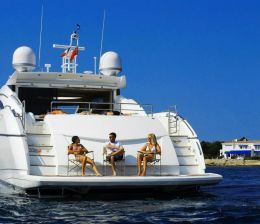 Safety and calmness are prominent features to yachts charter in Turkey. All year round, we welcome guests from the furthest places in the world to enjoy the beautiful Turkish coastsline and golden sandy beaches and secluded bays, islands and the high Taurus mountains, deep valleys, dusky caves and lush forests.